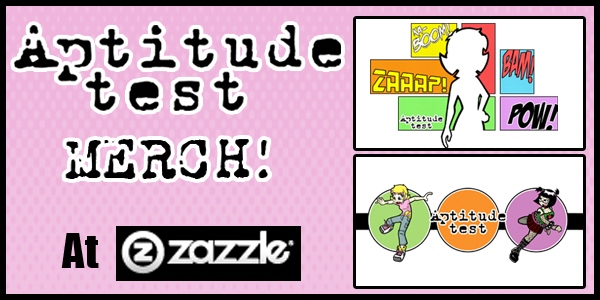 Aptitude Test designs are currently available at Zazzle. Any order questions should be directed to them. All shirt designs are shown in their recommended colours, but are available in any of Zazzle’s shirt types.